Born out of the ashes of the Calgary art-rock group Women, Viet Cong are a questionably named outfit with an unquestionably great debut. While there are still remnants of the trademark Women sound (brittle, trebly guitars, a knack for roundabout but memorable hooks, and, of course, the omnipresent jangle), Viet Cong has upped the aggression substantially, crafting an intensely rhythmic and often dissonant sound that clearly distinguishes the band from its precursor. However, they do this while maintaining an effortless sense of melody that crops up when you least expect it. 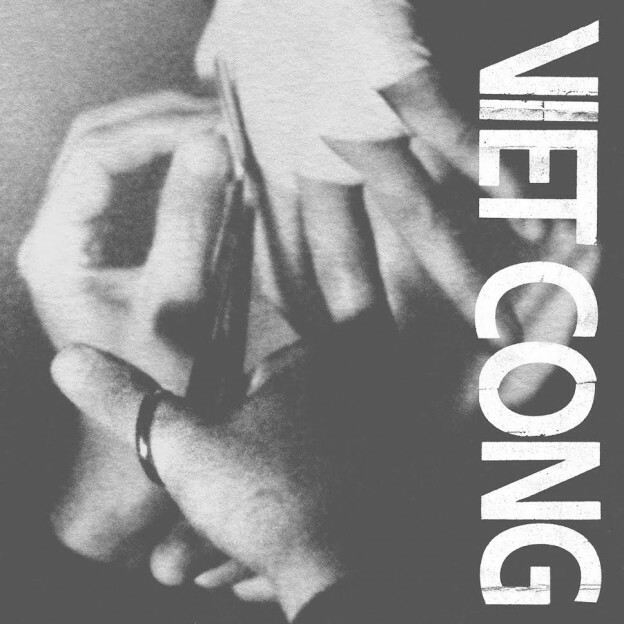 Viet Cong is an album that rewards patience, with each song taking its time to reveal itself – long intros abound, songs rarely follow conventional pop structure, and riffs are often repeated for extended periods of time without changing much. However, nestled somewhere in the later minutes of each track, there is always at least one striking shift, whether it be in instrumentation, composition, or just general mood. Album highlight “March of Progress” illustrates this perfectly. It opens with the sound of a drill before transitioning into a groove based around heavily distorted digital drums and a SK-1-style synth. The synth plays only two chords, and the drums play the same part over and over again – nothing really changes until the two-minute mark, when another layer of distortion is thrown into the mix, and even this addition is fairly superficial. Nevertheless, the resulting sound is far from boring – it is hypnotic, and the repetitiveness of it all makes it all the more surprising (and satisfying) when at the three-minute mark, the trance is broken. 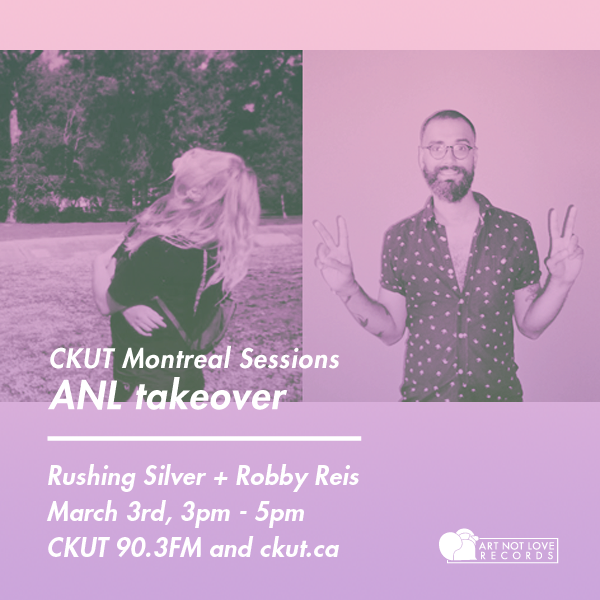 At this point, everything – the drums, distortion, and synth drone – is suddenly stripped away, and replaced with chiming, crisp guitars and almost Beatlesesque vocals. After having experienced three minutes of (nearly) the same thing, this change is thrilling – it feels like you are listening to an entirely different song. This theme of repetition recurs on the album, both musically and lyrically. Singer/bassist Matt Flegel’s lyrics are consistently nihilistic, lamenting the tedium of everyday life (“vanishing into the boredom”) and emphasizing the directionless nature of human existence (“nowhere at all, we’re going, nowhere to go!”). Both are fairly common themes to pursue, but Viet Cong mostly makes them feel fresh, with the one exception being the closer, “Death”. Clocking in at eleven minutes, the track follows predictable lyrical and music tropes, lacking the angularity and shock value of the other six tracks. To me, it is not interesting enough to warrant its length, coming off as self-indulgent and bloated (although not without a few interesting moments – that opening guitar arpeggio is beautifully executed). Maybe it sounds better live. Overall, though, Viet Cong have put together a strong record, chock full of memorable riffs, driving rhythms, and well-crafted melodies. I would recommend it to any fan of post-punk, or maybe a Captured Tracks devotee that’s looking for something heavier/more punishing. Happy listening! This entry was posted in Reviews and tagged album review, Viet Cong on March 3, 2015 by Nick Schofield.